The seconds left in 2013 are slipping away. And you know what else is slipping away? The seconds left in your life. 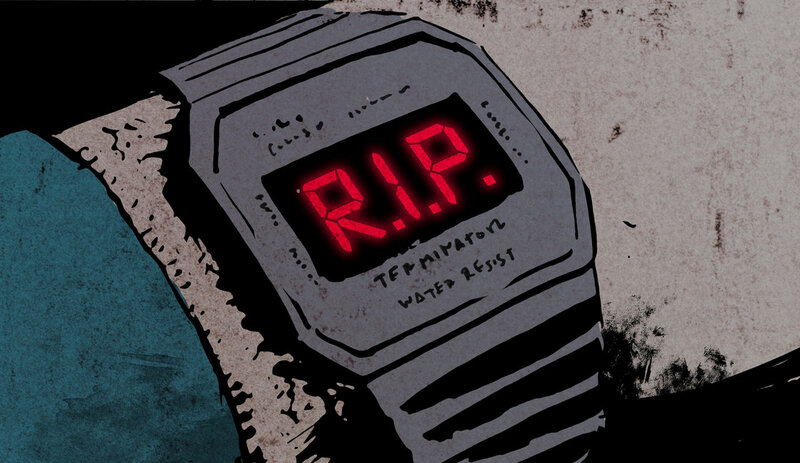 Luckily for you, there’s a new product called Tikker, a wristwatch that counts down your life, so you can watch on a large, dot-matrix display as the seconds you have left on Earth disappear down a black hole.